Experience more mindfulness in nature with the Forest Bathing Box, and bring the zen with you wherever you go. 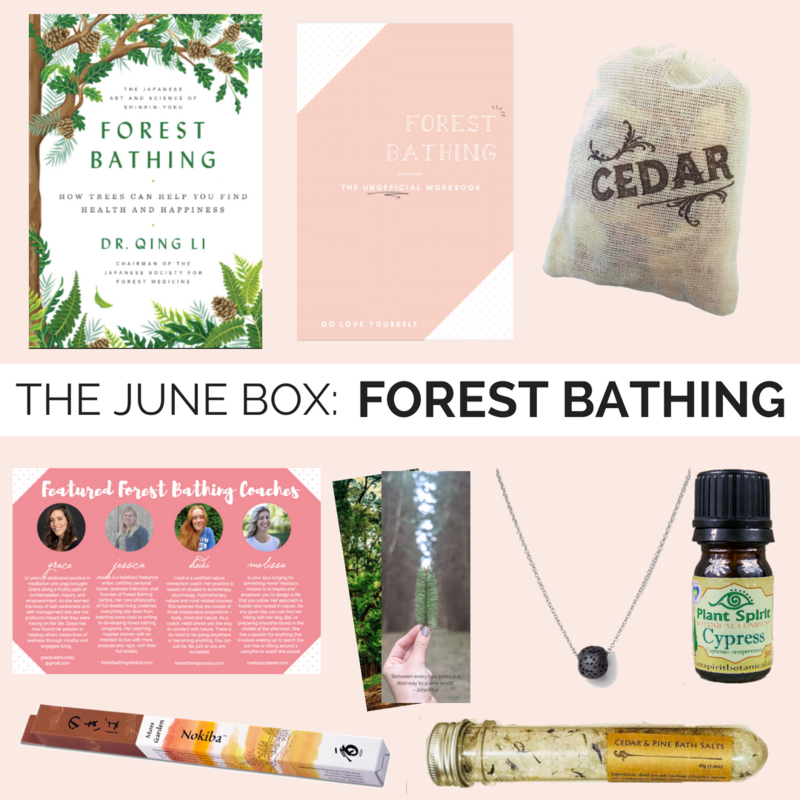 Products include: Forest Bathing Book, by Dr. Qing Li // A Forest Bathing Field Guide designed to help you reconnect with nature and engage in activities that increase mindfulness, awe, sensory awareness, and grounding // A Cedar Shavings Sachet // Cedar and Pine Bath Salts // Organic Cypress Essential Oils // An Aromatherapy Lava Stone Diffuser Necklace // Moss Garden Incense // Mother Nature as a Life Coach Webinar // One 30-minute conversation with one of our featured friendship coaches // Access to our online community of badass & supportive women, just like you. As always, products support women-owned small businesses so you can feel good about feeling good.